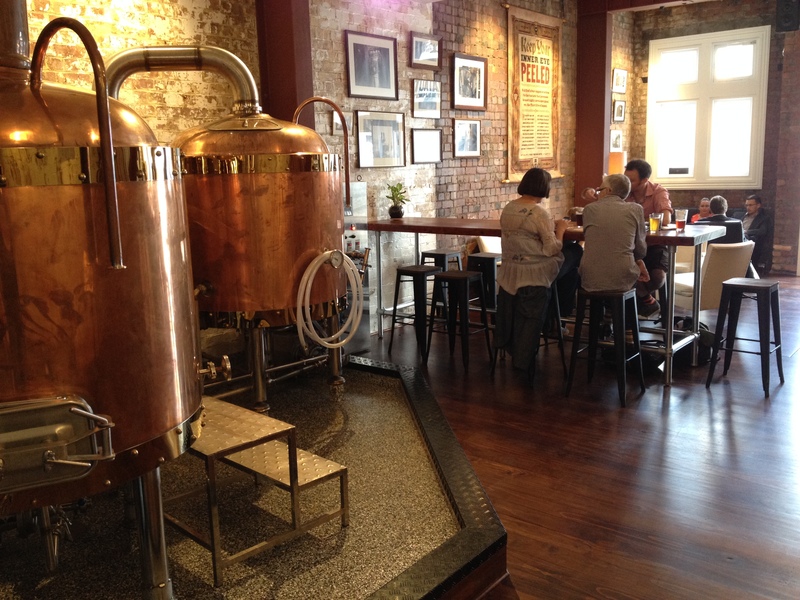 The Little Beer Quarter, or LBQ, is a self proclaimed ‘beer geek haven’, owned by four beer-loving women. 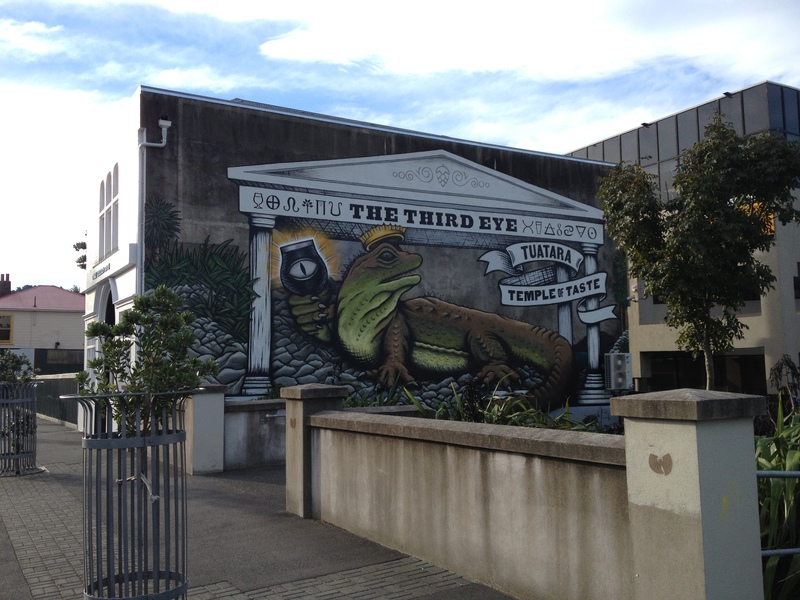 As a fellow blogger thundered when LBQ first opened, ‘take THAT, gender stereotypes’. Indeed. 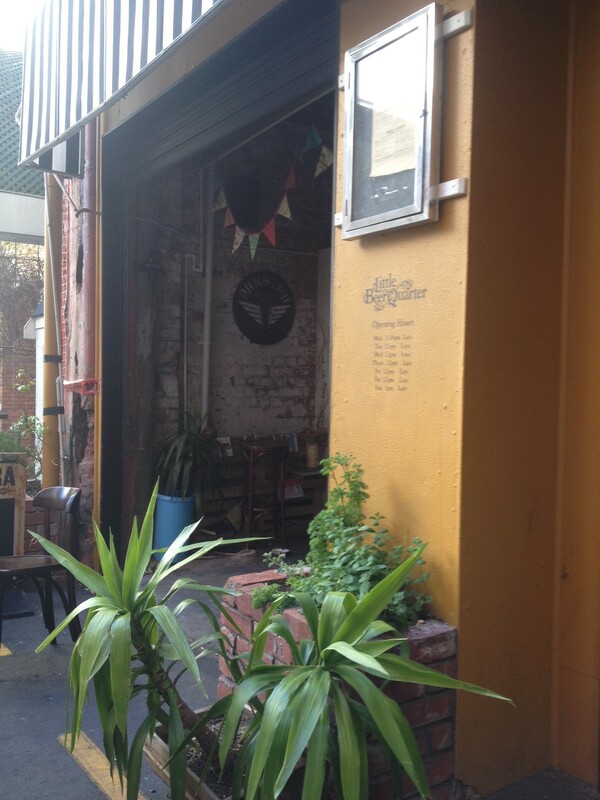 The Little Beer Quarter, tucked away in the back alleys of the Edward St Precinct. BEER SELECTION: LBQ offers 2 handpulls, 14 rotating taps and over 100 beers in the fridge that cover much of the craft beer spectrum, from ‘windswept and interesting’ to ‘fireside beers’, although The Jesuit observed that the selection was perhaps somewhat less ‘exotic’ or ‘off the wall’ than some of their geekier competitors. Their website provides an extensive and helpful list of their offerings. For the Thirsties, the beer of the night was Yeastie Boys’ White Noise from the handpull – a gentle beer for an equally gentle summer evening. 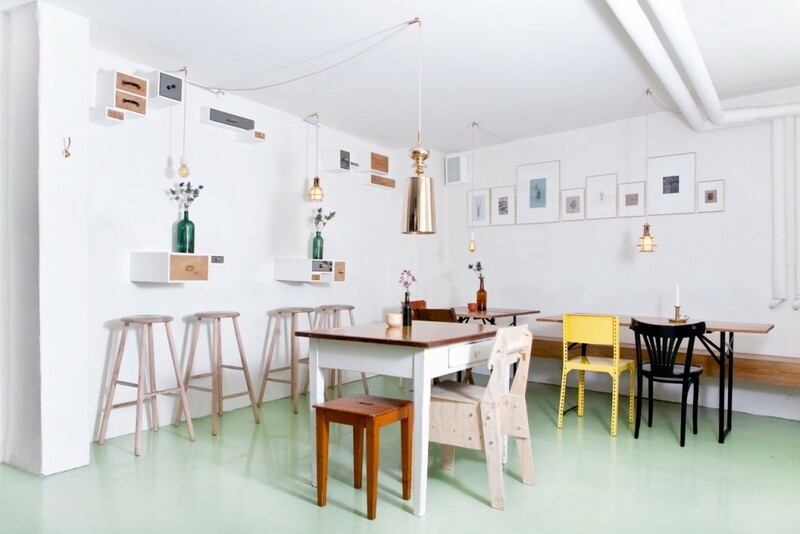 FOOD: Snacks, bigger snacks and mains including a range of pizzas and burgers, which are served on the buns of the moment, brioche, and with beers to match if desired. LBQ also offers all-manner-of-things battered with beer, including Panhead Port Road Pilsner battered onion rings. The beer battered chips are truly fantastic. Yum. 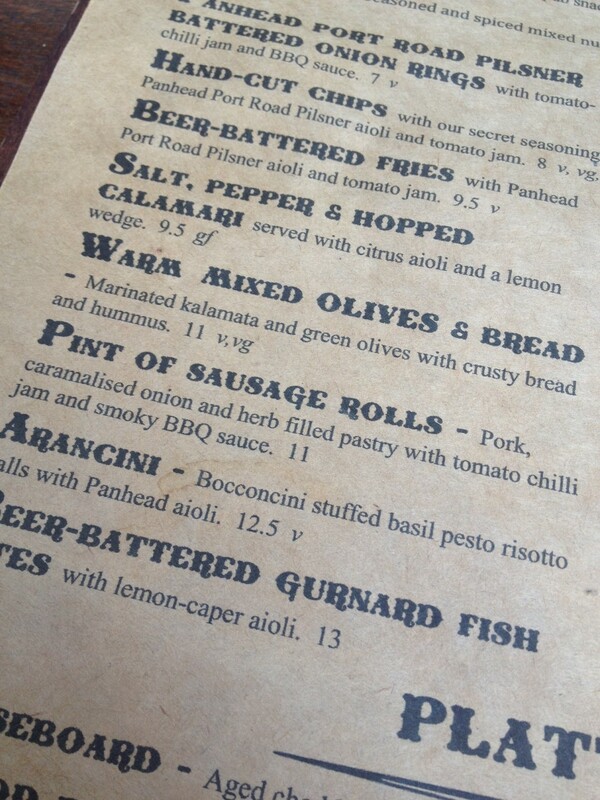 Who could resist a whole pint o sausage rolls? 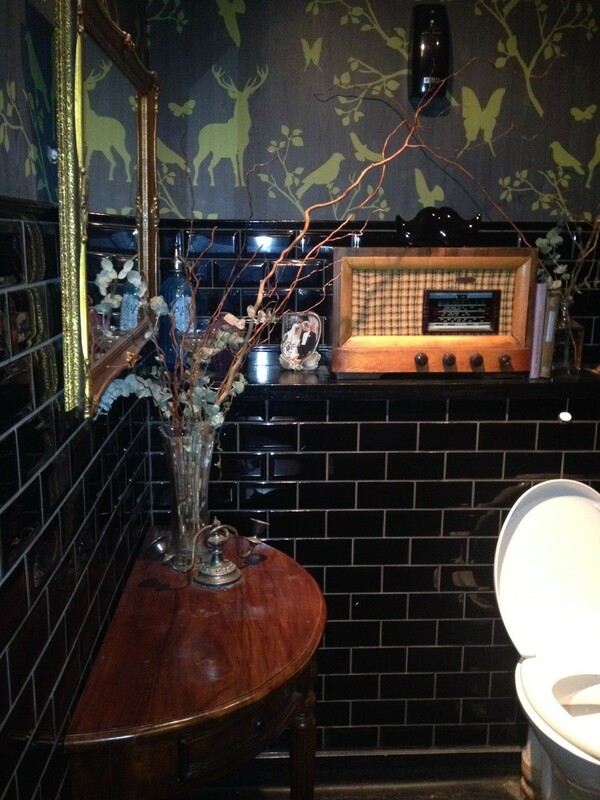 Even the loos are stylish – perhaps evidence of female ownership. DISTINGUISHING FEATURES: Themed bartenders. On the night we visited bedraggled surfer boy chic was the go. Alas, we missed Double Denim night. Sorry, they didn’t stay still long enough for a photo. LBQ also offers The Cigarro, a shelter for smokers to happily puff away in out of the sun, wind and rain. CLIENTELE: Very mixed, from suave older suits and office girls drinking glasses of rosé, to care freee, twenty-something couples. Its the sort of place for the young and the restless. 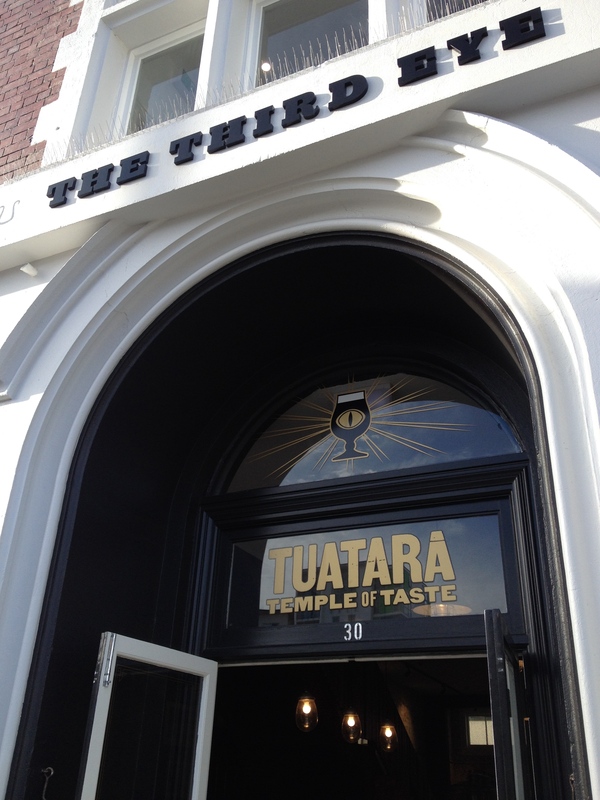 THIS IS THE TYPE OF PLACE YOU DRINK AT WHEN: you’re on a date (a good one, not a bad one). Although, The Little One was disappointed to see that the ‘kissing couch’ had disappeared. Alas, no confessions followed. A bar for lovers, even the chandelier forms a heart shape. 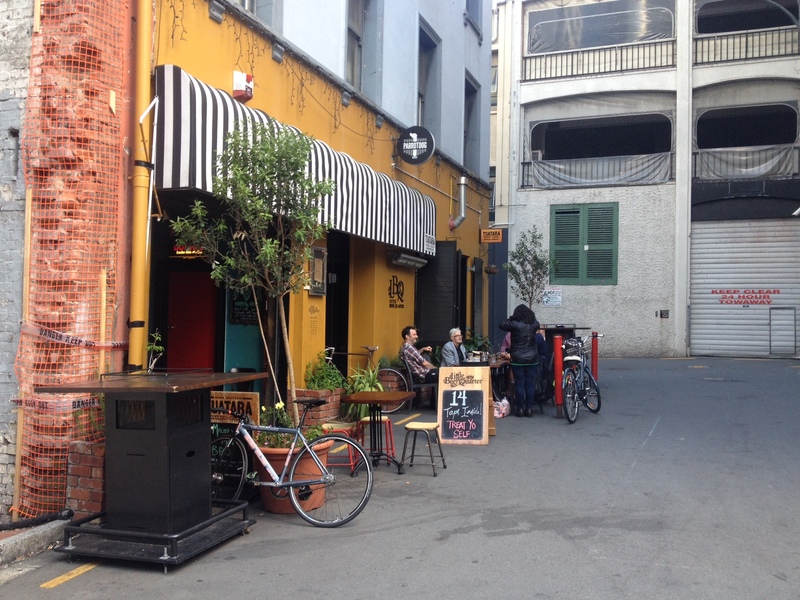 LBQ: an enclave of urban sophistication amidst the office blocks of Manners and Victoria Streets. 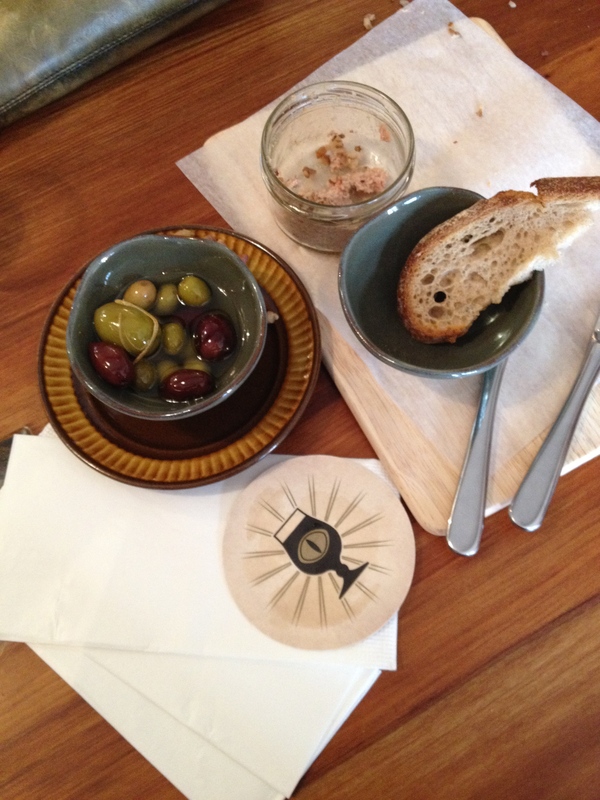 Five Boroughs is a New York styled, neighbourhood ‘deli, diner and dive’ in Mt Victoria. 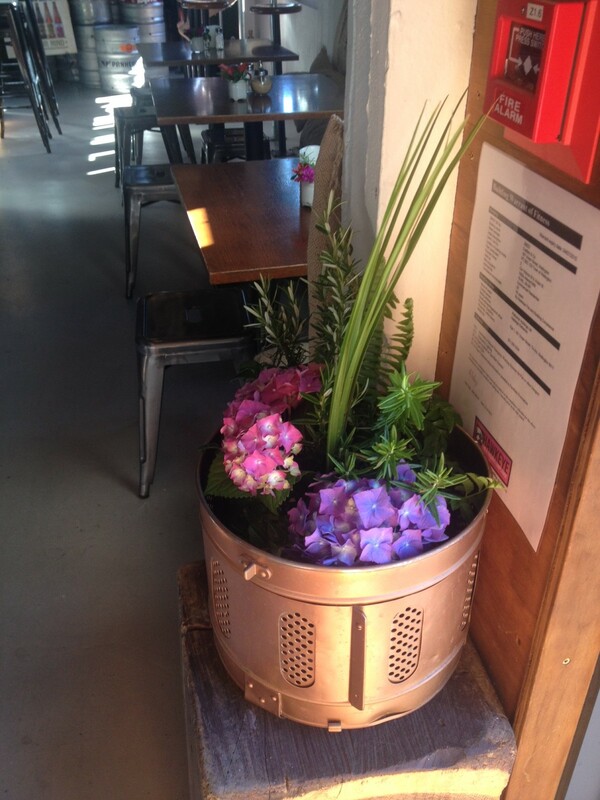 With an exterior hording promising ‘ice cold beer’, the Thirsties squeezed into a booth one sunny January to evening partake in a chilled beer or two. BEER SELECTION: ‘Limited’ would be a charitable description of Five Borough’s beer list which comprises four (four!) beers: one Founders beer on tap (a fact also boldly declared on the side exterior), and three Garage Project beers by the can, although one ran out while we were there. 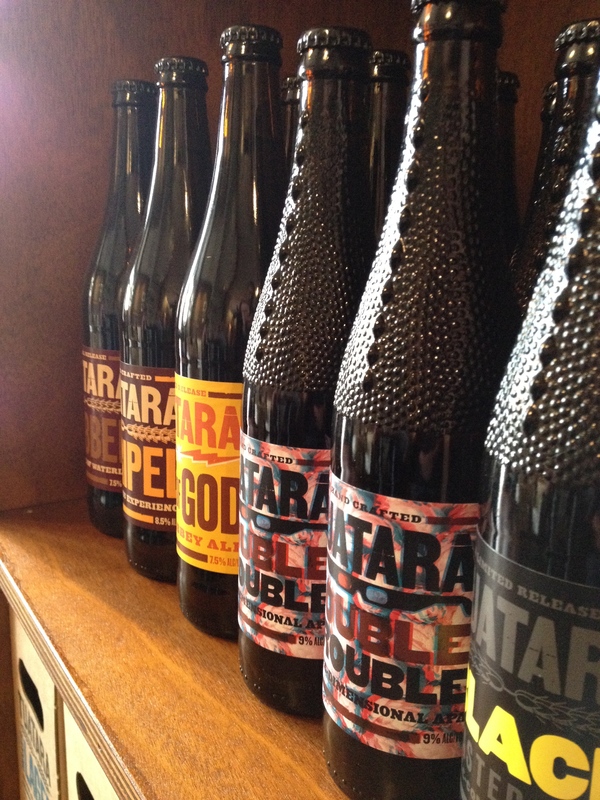 The Jesuit swiftly assessed the Founders 2009 IPA as ‘bloody diabolical’, and declared the Garage Project’s Garagista a thousand times better. Apparently Five Boroughs will be adding more choice soon. 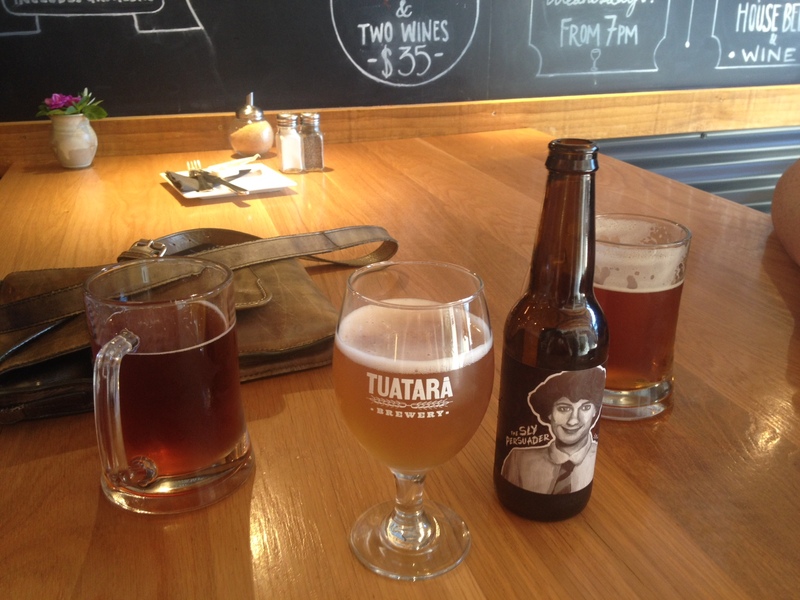 The reality: two of the four beers on offer. 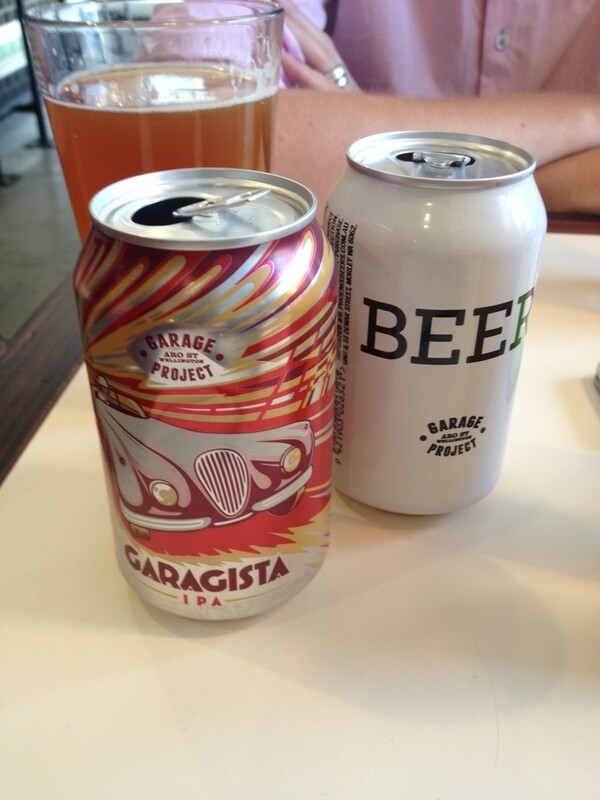 The Garage Project beers far outshone the Founders offering. 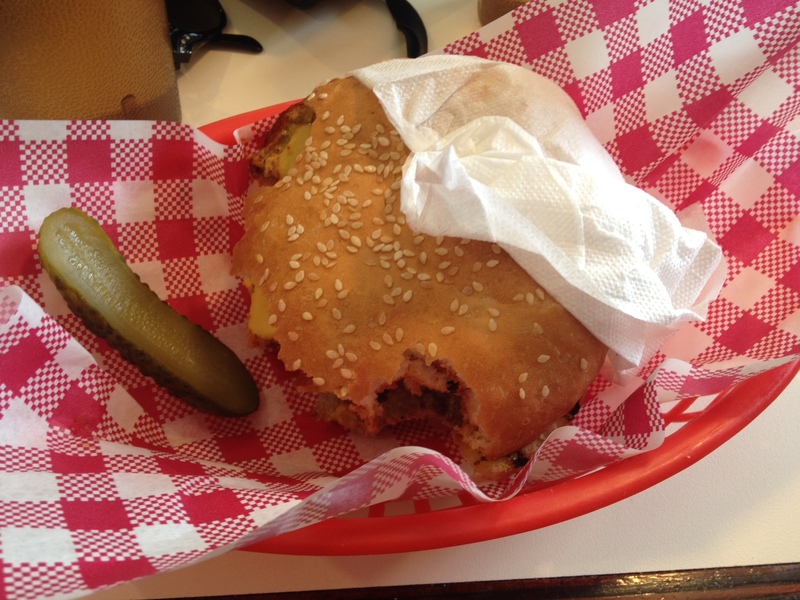 FOOD: American diner fare – burgers, subs and sandwiches, including a version of the ubiquitous Reuben Sandwich. A tasty classic American cheese burger – a welcome relief amongst the plethora of designer burgers popping up on menus everywhere. 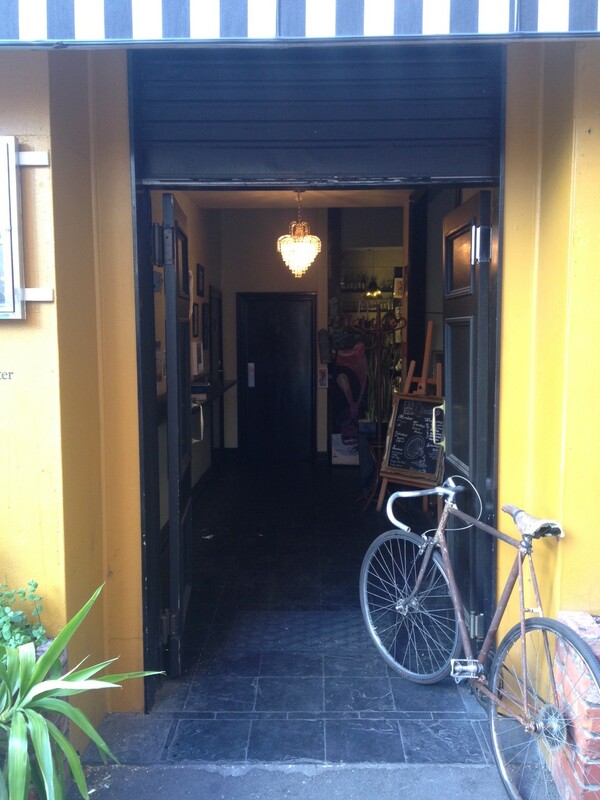 AMBIANCE: A little bit of New York City in Wellington – Travis Bickle and Frank Serpico would drink here. 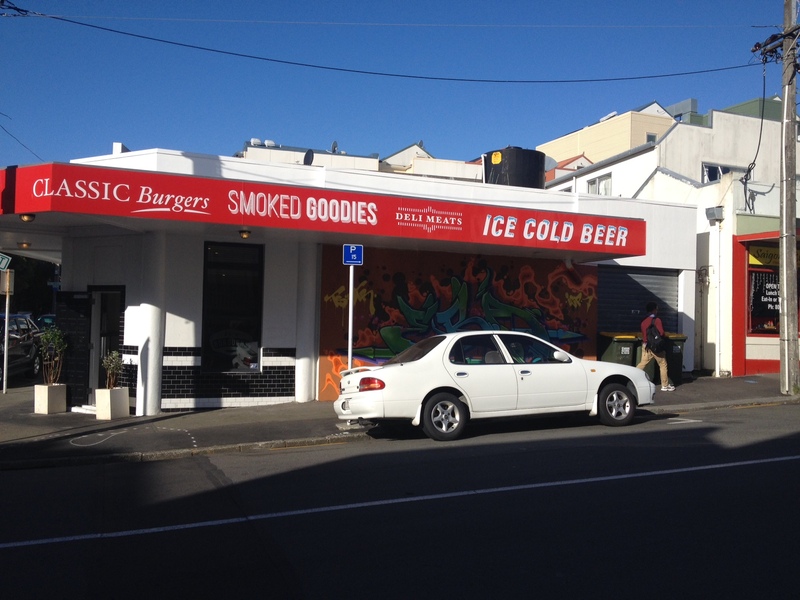 THIS IS THE TYPE OF PLACE YOU DRINK AT WHEN: you want to eat and don’t care about choice. FIVE BOROUGHS: a long way from beervana. October marks the first anniversary of the foundation of the Thirstyboys’ Ladies Auxiliary, which means I have been heading down the stairs to Hashigo Zake most Tuesday evenings for the past 12 months. As such, the Thirsties asked me to reflect on my first year of beer. While I happily sipped shandies made by my uncle when I was 10, the taste of beer never appealed as I moved into my teens, student years and beyond. Kegs, yard glasses, six packs, pints and halves were all foreign concepts. I grew to look down on beer, and beer drinkers to boot. Tui naturally had a lot to answer for. I thought beer was beer, and I didn’t like it or the culture that surrounded it – that was until I was lured into Hashigo’s basement one evening by a Thirsty Boy. While I stubbornly clung to my chardonnay at first, eventually I began to brave each week’s new release – a sip here and there, and eventually a half of my very own. A Singaporean Jungle Beer jolted me to my senses. How surprisingly delicious. I could like beer. I had found my beer, except that it was a one off special keg, so within an hour of being found I was lost again. A few weeks later a porter by the Garage Project, famously described by the Draughtsman as like ‘drinking a whole f&#%$ Christmas cake’, made me realise I well and truly preferred the dark side to the light. 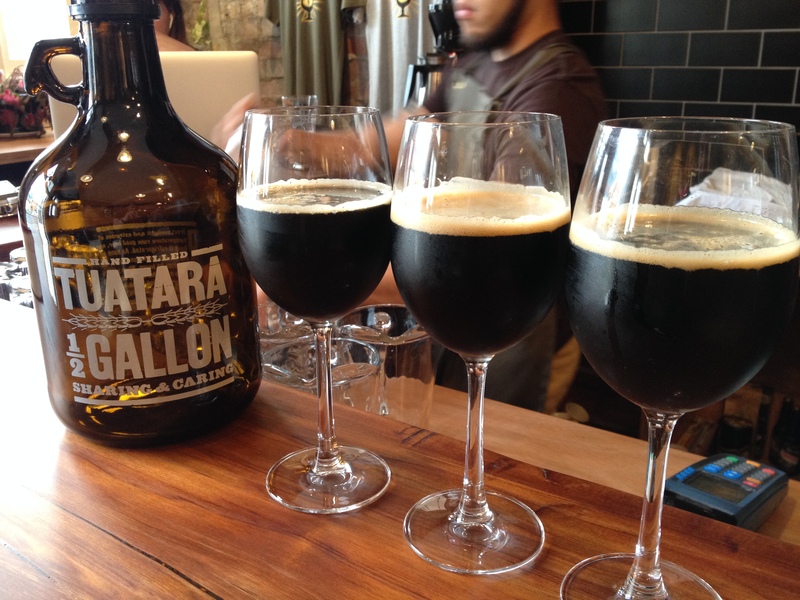 2013 became the year of the great imperial porter. Beer is not just beer. Beer comes in an amazing array of styles and flavours, and is made from all sorts of weird things from chillies to avocado leaves and weasel poo. Who would have thought? 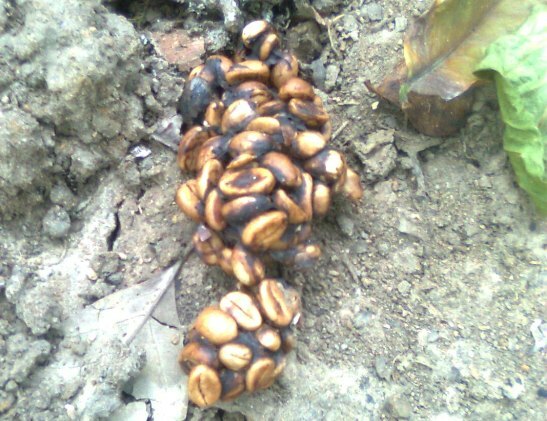 Weasel poo, or more correctly civet cat poo featuring highly desirable excreted coffee beans. Despite expanding my drinking horizons considerably, I still don’t like drinking across the spectrum (unlike Malice). I like imperial porters on the whole, and the occasional Saison – which is just a nice word to say as well as tasting a little like chardonnay. 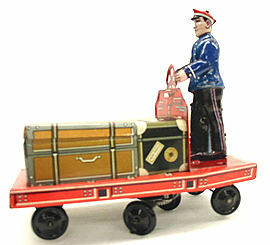 ‘The Luggage Porter’. Post war tin toy. On a cautionary note, however, three imperial porters in a row is simply one porter too many. It can only lead to trouble. 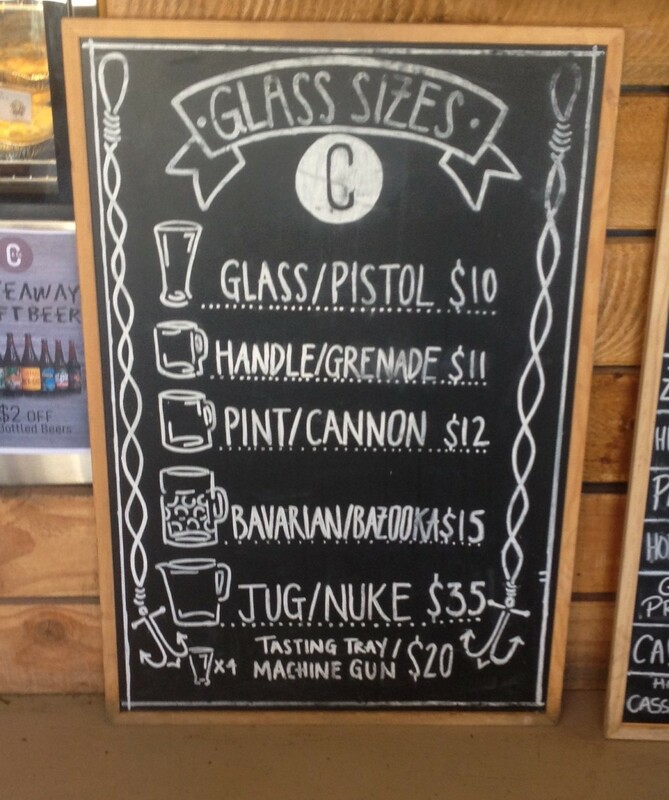 I am yet to find my sessionable beer. Beer doesn’t only go with rugby and racing. Beer goes with poetry and great conversation, and best of all – with cheese. 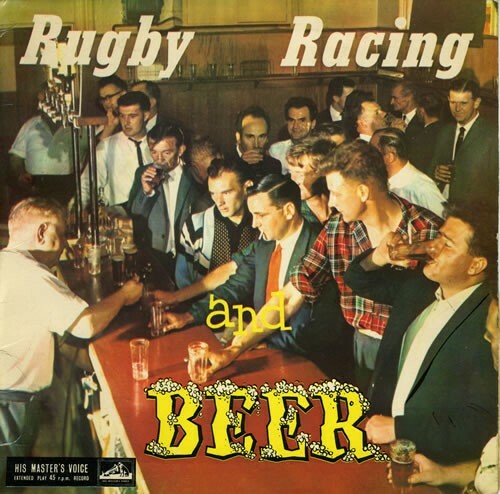 Cover of Rod Derrett’s classic 1965 record, Rugby, racing and beer. 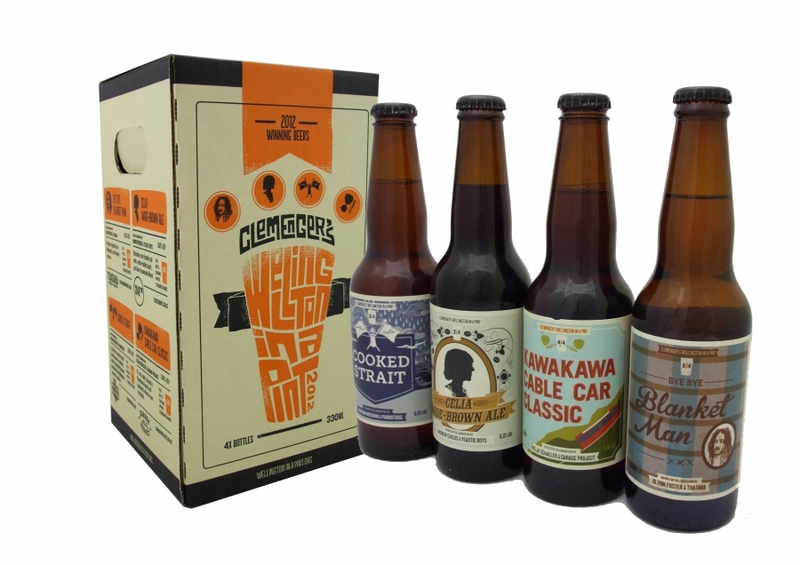 Craft brewers are an inventive, irreverent and interesting breed, culturally engaged and culturally playful. I like it. 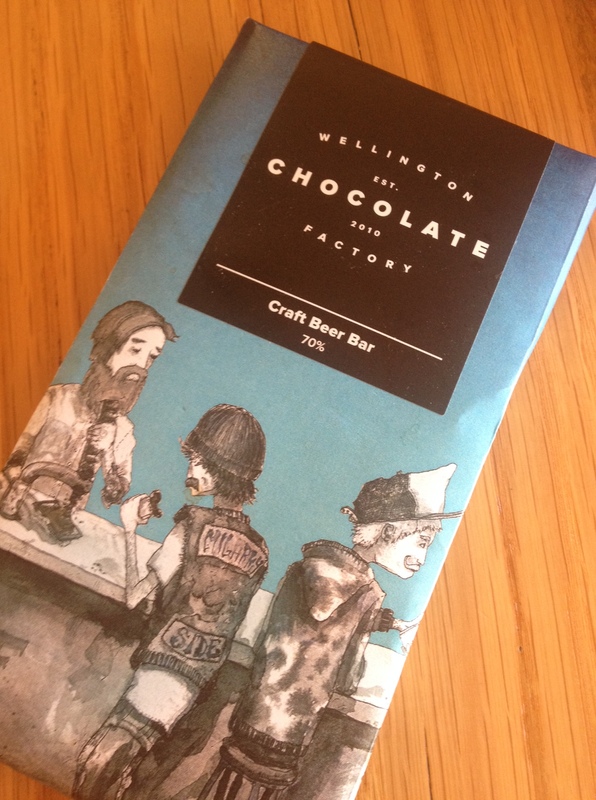 Wellington in a Pint winners, 2012. 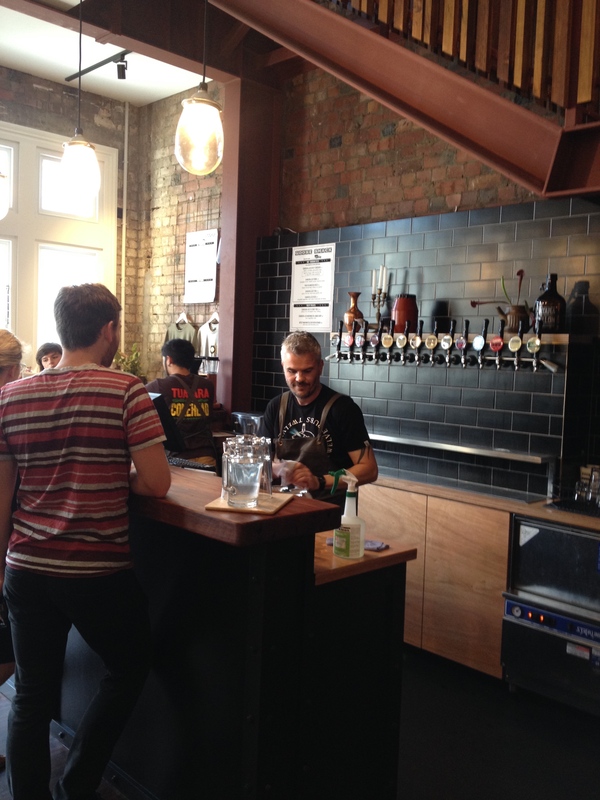 Beer bars no longer have sticky floors, and are pretty convivial places just to be. Some even have flowers. 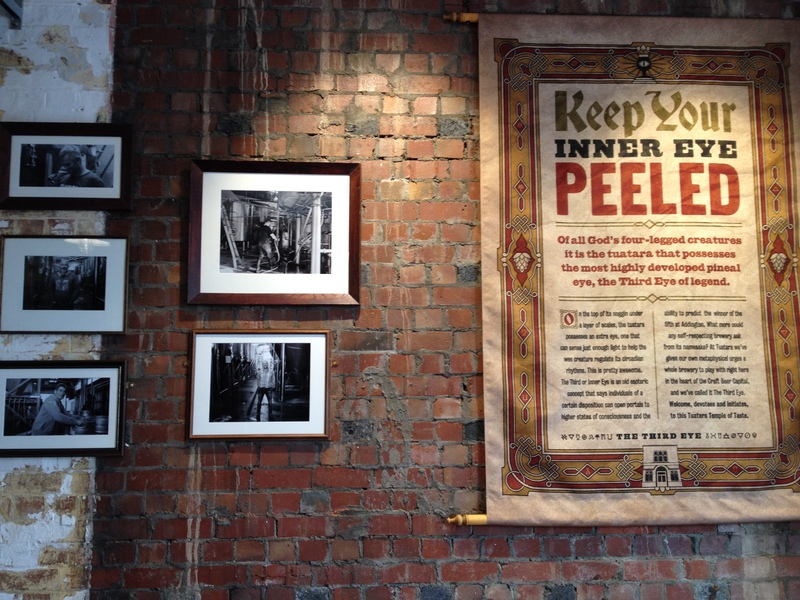 Beer and style can go together (see Beervana 2013). 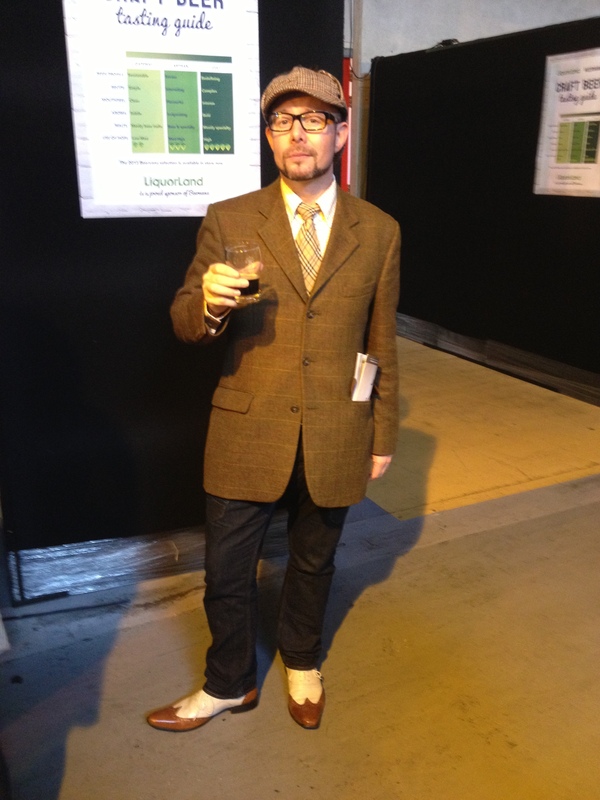 Stephen dressed for a Sherlock adventure at Beervana 2013. Wine might have legs, but beer has Belgian lace. Beer makes a mighty fine baking ingredient. The MightyThirsty Cake, otherwise known as a porter chocolate cake best served with porter syrup and ‘clouds’ of cream. FRUITY BIT: Chop fruit, pop in a medium sauce pan with other fruity ingrediants. Bring the porter to boil, and simmer for 10 mins, stirring every now and again. Cool for 5 mins and then wizz in a blender. Cool some more. CAKEY BIT: Whisk eggs, vanilla and sugar in a big bowl and add wizzed fruity mixture. Combine almonds, cocoa, 5 spice, baking powder, and then add to egg/fruit mixture. Pour into a 22cm spring form tin that has been lined with baking paper. Bake for 40 mins, or until skewer comes out clean, at 170 degrees. Cool in the tin. Pop on a plate. SYRUPY BIT: Put all ingredients in a saucepan and bring to boil, and stir in the sugar to dissolve. Simmer vigorously for about 10 mins or until reduced and thick and syrupy (this took me more than 10 mins). HOW TO EAT: Dust the MightyThirsty Cake with icing sugar, and serve each slice with a dollop of whipped cream and a generous splash of syrup. Serves 10 to 12 in theory. 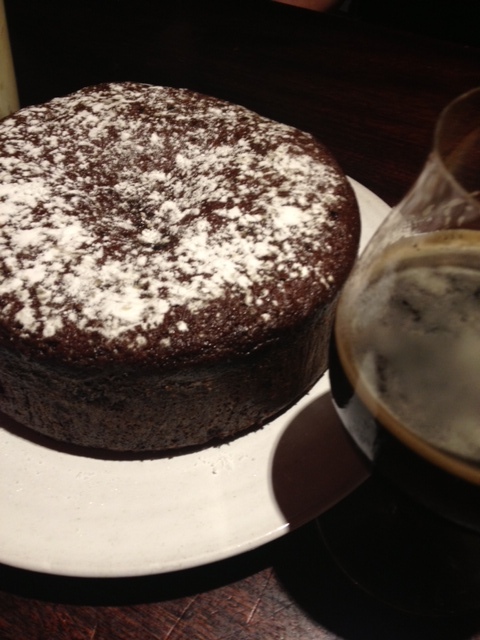 BEER MATCH: Sam from Hashigo Zake, after conducting a professional tasting, recommends pairing your MightyThirsty Cake with a glass of Left Coast Voodoo Stout. A CAKE YOU EAT WHEN: feeling mighty. A glass of Voodoo – the perfect MightyThirsty Cake match. WITH GRATEFUL THANKS TO DISH MAGAZINE FOR SHARING SUCH A MARVELLOUS RECIPE!